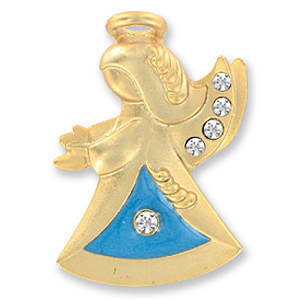 Mom Guardian angel pin with heart gold rhinestone accent. 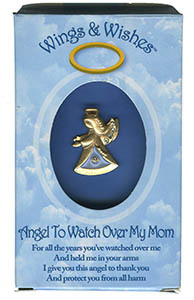 Card 'For all the Years you've watched over me, And held me in your arms, I give you this angel to thank you, And protect you from all harm.' To and From: on back of box. 1 inch tall. Nice gift box. Mother's Day Gift.